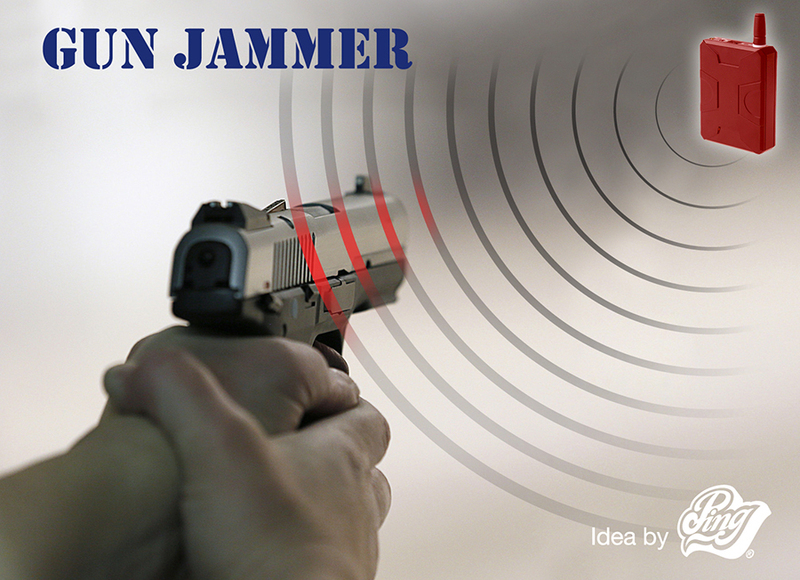 It’s called “Gun Jammer” –– a wireless jammer that supposes to work like a cellphone jammer. This jammer can only work if America has one day finally passed a new gun control law that requires each and every single newly produced gun will HAVE TO have a micro-chip permanently built inside the gun’s body/structure. Thus the micro-chip will make the gun a “smart gun” –– it can recognize and only function when used by the rightful owner (through fingerprint, voice recognition, etc); Also, most importantly, the micro-chip will temporary disfunction the gun –– will stop it from firing when the gun is carried into a “gun-free zone” e.g. Schools and other critical facilities. How does this work? Schools as required by the new law must install “jammers” thoughout their buildings and surroundings, just like the fire-alarms. The “Jammers” will be placed at the hot-spots area which their wireless signal will disfuction any guns carried inside that zone. The jammer and the micro-chip will put any gun to temporary auto-locked mode –– and will function again as it exit the “gun-free” zone. The jammer and the micro-chipped gun will give no opportunities to any mayhem to happen in our schools.